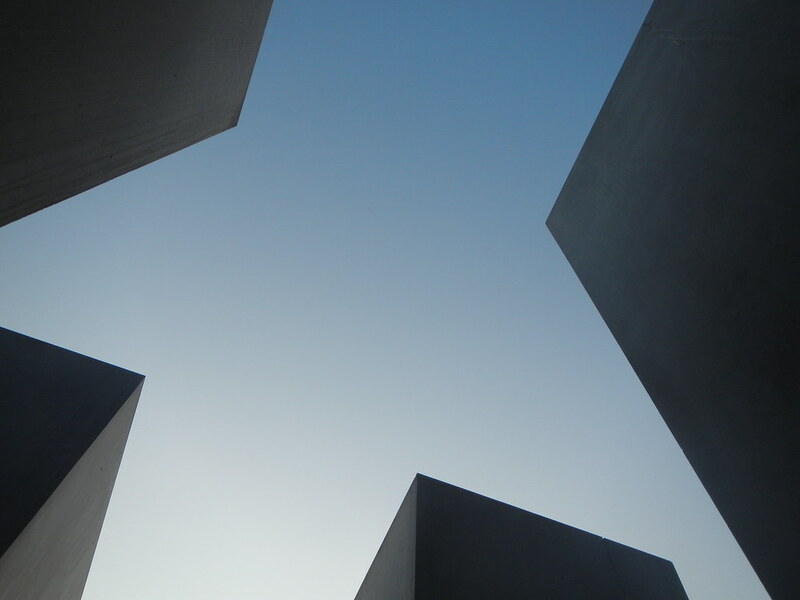 The early morning outing was to the Holocaust Memorial, near the Brandenburg Gate. At 7am on a Sunday morning we were the only visitors. This place has a real visual impact with light and shade on the concrete blocks creating geometric patterns, the contrast of green and slightly autumnal colours of the trees on the western side and the rather jarring row of tourist cafes on the east. On the way back we found, adjacent to the Philharmonie, the newly opened memorial to people who were killed according to Nazi policies because of mental illness or disability. The group bicycle tour was to the Berlin Wall Memorial – Gedenkstatte Berliner Mauer – to the north of the city centre. It is sobering to see and read of the events that occurred here, including the demolition in 1985 of the church that was a symbol of hope for so many people. Even after being here it is difficult to appreciate that all this happened during our own lifetime and came to an end only 25 years ago. This location has excellent illustrations and explanations in both German and English. Across the road there is a tower that gives a view of the area from above, also with much interesting detail about political events and daily life in the GDR era. Wieteke and Kees had to take an afternoon train to return to the Netherlands. We farewelled them the first time from our hotel, then chased them by bike and U-Bahn to the Hauptbahnhof to return the sponge bag that was left behind. Our time together has been full of hilarious events, not all of which can be published here! Our evening was spent dining and walking around Savignyplatz where we observed on open air catwalk event with a long queue of highly fashionable young women and men waiting for their turn. We found many interior design shops (we are not doing enough with chandeliers in our house), the uber-cool back-to-the-fifties Smeg showroom, and took a brief look inside the arty Paris Bar. This entry was posted on 7 September 2014 at 10:09 pm and is filed under Europe 2014. You can follow any responses to this entry through the RSS 2.0 feed. You can leave a response, or trackback from your own site.